An example of a previously lost version known as Classic 0.0.22a_05. It has now been recovered from an old player. Unfortunately, as with many large video game franchises, there are many different early builds from the early development cycles of the game that are now missing entirely, both from Mojang's official launcher and from the internet altogether. This is likely due to the nature of the game as an in-browser Java applet when first developed. This meant that without knowledge of how Java applets worked a user would not know to backup the files, including the minecraft.jar file, found in the AppData/Local/Temp/www.minecraft.net folder where these files were stored. This was also worsened by the sheer amount of updates in a short space of time during the early builds of the game, sometimes many in a single day, which when played would overwrite the files from the previous update. As the game did not become popular until later on and Notch was the sole developer, he also seemingly did not keep backups of every version released. 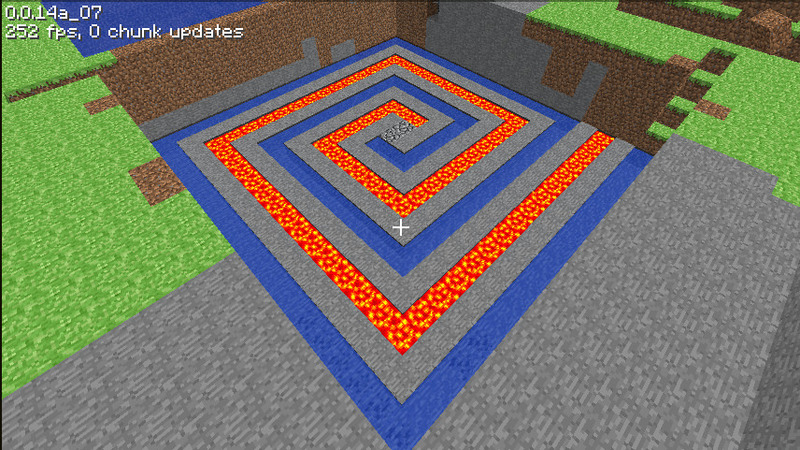 Classic was the first public development cycle of Minecraft. Originally called "Alpha" (not to be confused with the later development cycle by the same name) it was only referred to as Classic after the development cycle had ended. Any private versions made beforehand such as the "rd (RubyDung) versions" in the official launcher and the version "0.0.9a" (often grouped with Classic versions, depending on how they're grouped) are generally referred to as pre-Classic. Classic started with version "0.0.11a", released on May 17, 2009 and ended with version "0.30", released on November 10, 2009. Within Classic, there were a few other development cycles, including Multiplayer Test and later Survival Test. As Classic was played in the browser the files for it were stored at the AppData/Local/Temp/www.minecraft.net/Minecraft folder. There are a lot of different versions of Classic missing and only 3 versions of it are featured in the official launcher. Luckily, a few other versions have been recovered from various older players over the years and there is a reasonably good historic representation of most of Classic, other than early Multiplayer Test versions. Below is a table of Classic versions, with notes for each version as well as download links for found versions. Proof of existence for all versions is included where possible, with an effort having been made to find proofs from 2009-2010. Only a single proof of existence is included per version, but for most versions, many are available in the form of screenshots, videos and from Notch's Tumblr blog. If proof for a version is missing it is either due to the proof not existing or having been found, or it may be because the version was a silent update (unannounced by Notch) but is now found so we know of its existence. A -1, -2 etc. next to a version indicates there were multiple different versions of the same version released publically, or a version that was reuploaded, usually to attempt to fix a bug. 0.0.9a May 16 2009 Lost Screenshot Was a semi-private release. Included as it is debated as to whether it is Classic or not. 0.0.10a Unknown Lost No proof Likely didn't exist, but version numbers weren't skipped very often so may have. 0.0.11a May 17 2009 Found Video Found in the launcher, but may be modified. 0.0.12a May 19 2009 Lost Notch's Tumblr No notes. 0.0.12a_01 May 19 2009 Lost Notch's Tumblr First version to use _x naming scheme. 0.0.12a_02 May 19 2009 Lost Notch's Tumblr No notes. 0.0.12a_03 May 19 2009 Lost Video No notes. 0.0.13a May 21 2009 Found Video Found in the launcher, but may be modified. 0.0.13a_01 May 21/22 2009 Lost No proof Likely existed as version numbers weren't usually skipped. 0.0.13a_02 May 21/22 2009 Lost No proof Likely existed as version numbers weren't usually skipped. 0.0.13a_03 May 22 2009 Found Video We have an original copy of this as well as the launcher version. The original is from the video uploader. 0.0.14a May 28 2009 Lost Notch's Tumblr Multiple test versions of this such as the offset test were shown on Notch's YouTube, but these were likely just development versions. 0.0.14a_01 May 28 2009 Lost No proof Likely existed as version numbers weren't usually skipped. 0.0.14a_02 May 28 2009 Lost No proof Likely existed as version numbers weren't usually skipped. 0.0.14a_03 May 28 2009 Lost Screenshot No notes. 0.0.14a_04 May 28 2009 Lost Notch's Tumblr No notes. 0.0.14a_05 May 28 2009 Lost No proof Likely existed as version numbers weren't usually skipped. 0.0.14a_06 May 28 2009 Lost No proof Likely existed as version numbers weren't usually skipped. 0.0.14a_07 May 28 2009 Lost Screenshot No notes. 0.0.14a_08 May 28 2009 Lost Video Last version before Multiplayer Test. 0.0.15a-1 Unknown Lost Video First version of Multiplayer Test. Multiple versions of this version existed, seemingly 3. 0.0.15a-2 June 3 2009 Lost Notch's Tumblr No notes. 0.0.15a-3 June 3 2009 Lost Notch's Tumblr No notes. 0.0.16a June 8 2009 Lost Notch's Tumblr The proof does not mention 0.0.16a specifically, but it is likely proof for it due to the date. 0.0.16a_01 Unknown Lost Screenshot No notes. 0.0.16a_02 Unknown Lost Video No notes. 0.0.17a June 10 2009 Lost Video No notes. 0.0.18a Unknown Lost Notch's Tumblr The proof is the changelog for 0.0.18a_02 which mentions fixing a bug from 0.0.18a. 0.0.18a_01 June 14 2009 Lost Video No notes. 0.0.18a_02 June 14 2009 Lost Video No notes. 0.0.19a June 20 2009 Lost Screenshot No notes. 0.0.19a_01 June 20 2009 Lost No proof Likely existed as version numbers weren't usually skipped. 0.0.19a_02 June 20 2009 Lost No proof Likely existed as version numbers weren't usually skipped. 0.0.19a_03 June 20 2009 Lost No proof Likely existed as version numbers weren't usually skipped. 0.0.19a_04 June 20 2009 Lost No proof Likely existed as version numbers weren't usually skipped. 0.0.19a_05 June 20 2009 Lost No proof Likely existed as version numbers weren't usually skipped. 0.0.19a_06 June 20 2009 Lost Video No notes. 0.0.20a June 20 2009 Lost Notch's Tumblr No notes. 0.0.20a_01 June 20 2009 Lost Screenshot No notes. 0.0.20a_02 June 20 2009 Lost Video No notes. 0.0.21a June 22 2009 Found Video No notes. 0.0.21a_01 June 23 2009 Lost Video No notes. 0.0.22a Unknown Lost No proof Likely existed as version numbers weren't usually skipped. 0.0.22a_01 Unknown Lost No proof Likely existed as version numbers weren't usually skipped. 0.0.22a_02 Unknown Lost No proof Likely existed as version numbers weren't usually skipped. 0.0.22a_03 June 30 2009 Lost Screenshot No notes. 0.0.22a_04 June 30 2009 Lost Screenshot No notes. 0.0.22a_05 June 30 2009 Found Screenshot No notes. 0.0.23a July 7 2009 Lost Notch's Tumblr No notes. 0.0.23a_01 July 7 2009 Found Screenshot Last creative version before Survival Test. 0.24_SURVIVAL_TEST September 1 2009 Lost Video First Survival Test Version. Various examples of versions labelled 0.24 can be seen on Notch's blog and YouTube channel, however these seem to be unreleased development versions. This version also simplified the version numbering scheme, removing the 0.0 at the start and the 'a' at the end. 0.24_SURVIVAL_TEST_01 September 1 2009 Lost Screenshot No notes. 0.24_SURVIVAL_TEST_02 September 1 2009 Lost Video No notes. 0.24_SURVIVAL_TEST_03 September 1 2009 Found Video No notes. 0.25 SURVIVAL TEST September 3 2009 Lost Video No notes. 0.25_01 SURVIVAL TEST September 3 2009 Lost No proof Likely existed as versions weren't usually skipped. 0.25_02 SURVIVAL TEST September 3 2009 Lost No proof Likely existed as versions weren't usually skipped. 0.25_03 SURVIVAL TEST September 3 2009 Lost No proof Likely existed as versions weren't usually skipped. 0.25_04 SURVIVAL TEST September 3 2009 Lost No proof Likely existed as versions weren't usually skipped. 0.25_05 SURVIVAL TEST September 3 2009 Found Video No notes. 0.26_SURVIVAL_TEST October 24 2009 Lost Video No notes. 0.27_SURVIVAL_TEST October 24 2009 Found Notch's Tumblr No notes. 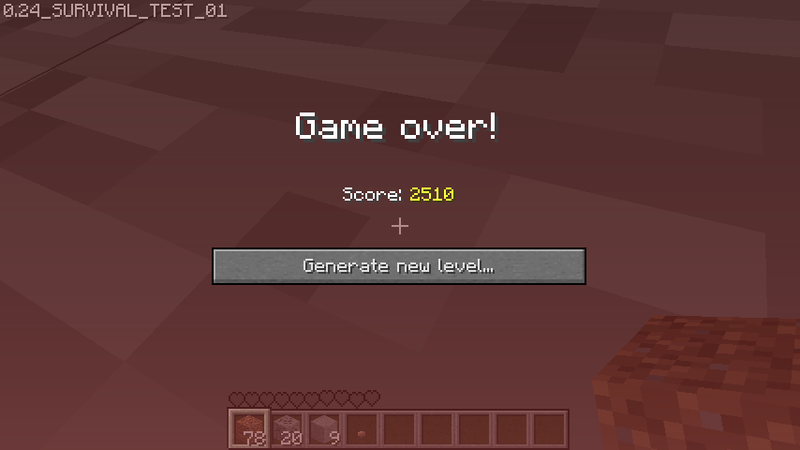 0.28 October 27 2009 Lost Notch's Tumblr and Notch's Tumblr This version changed back to creative mode, although 0.27 was not the last Survival Test version. 0.28_01 October 27 2009 Found To be added No notes. 0.29 October 29 2009 Lost Screenshot Had a graphical bug, as seen on the colour of the version tag in the screenshot. 0.29_01 October 29 2009 Lost Notch's Tumblr No notes. 0.29_02 October 30 2009 Found To be added No notes. 0.30 November 10 2009 Found To be added 3 versions are found. One is the original creative version, one is the Survival Test version and the third is the one found in the launcher, labelled 0.30_01c in the launcher but this is not the original name and it is not labelled as such in game, this is a repackage of the one found on the classic website from 2011 until its shutdown. Indev (standing for In Development), sometimes stylised as /indev/, was the development stage of Minecraft which introduced crafting along with many other features such as mining, smelting and farming. The first Indev version was released on December 23, 2009 and the last Indev version was released on February 23, 2010. Indev was originally creative mode for only the first couple of versions and then later survival mode for the rest of the development cycle. 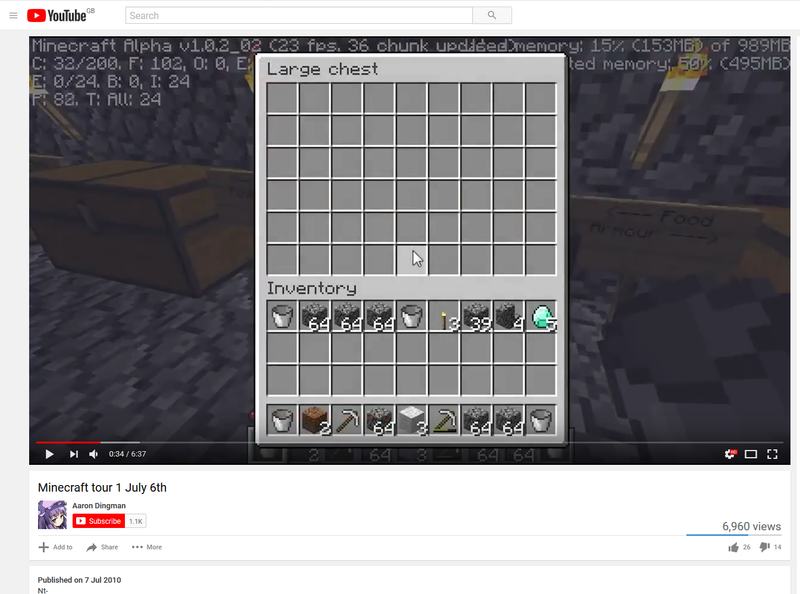 Indev was originally labelled 0.31 in game, until the February 6th version onwards where it was labelled Minecraft Indev in game. Much like Classic it had a limited map size and was played in the browser, meaning the files were stored in the AppData/Local/Temp/www.minecraft.net/Minecraft_sneakpeek folder. Surprisingly, there are absolutely no Indev versions in the launcher but despite this many have been found, once again from old players. There is even one extremely rare creative version of Indev (December 23 2009-2) archived that was recently recovered by an archivist player known as RidgeX. Unfortunately, there are also many missing versions of Indev too, mainly from its earlier versions. Below is a table of Indev versions, with notes for each version as well as download links for found versions. Proof of existence for all versions is included where possible, with an effort having been made to find proofs from 2009-2010. Only a single proof of existence is included per version, but for most versions, many are available in the form of screenshots, videos and from Notch's Tumblr blog. If proof for a version is missing it is either due to the proof not existing or having been found, or it may be because the version was a silent update (unannounced by Notch) but is now found so we know of its existence. Because Indev did not have a numbering scheme for the separate versions, the numbering scheme used is based on the release date of the version in the Year-Month-Day format. A -1, -2 etc. next to a version indicates there were multiple different versions of the same version released publically, or a version that was reuploaded, usually to attempt to fix a bug. indev-20091223-1 23 December 2009 Lost Notch's Tumblr First Indev version released. It was Creative mode. indev-20091223-2 23 December 2009 Found Notch's Tumblr Was also Creative mode, but this was the last version before Indev switched to Survival mode. Added torches to the game. indev-20091231-1 31 December 2009 Lost Notch's Tumblr First Survival mode version of Indev. indev-20091231-2 31 December 2009 Lost Notch's Tumblr No notes. indev-20100105 5 January 2010 Found Notch's Tumblr META-INF dates to a few minutes before midnight, though it's proven to be released on January 5th 2010 as it has the new sound system mentioned in the proof of existence. indev-20100106 6 January 2010 Lost Notch's Tumblr No notes. indev-20100107 7 January 2010 Lost Notch's Tumblr No notes. indev-20100109 9 January 2010 Lost Notch's Tumblr No notes. indev-20100111-1 11 January 2010 Found Notch's Tumblr No notes. indev-20100111-2 11 January 2010 Lost Notch's Tumblr No notes. indev-20100113 13 January 2010 Lost Notch's Tumblr No notes. indev-20100114 14 January 2010 Lost Notch's Tumblr No notes. indev-20100122 22 January 2010 Lost Notch's Tumblr No notes. indev-20100124 24 January 2010 Lost Notch's Tumblr No notes. indev-20100125-1 25 January 2010 Found To be added No notes. indev-20100125-2 25 January 2010 Found To be added No notes. indev-20100128 28 January 2010 Lost Notch's Tumblr No notes. 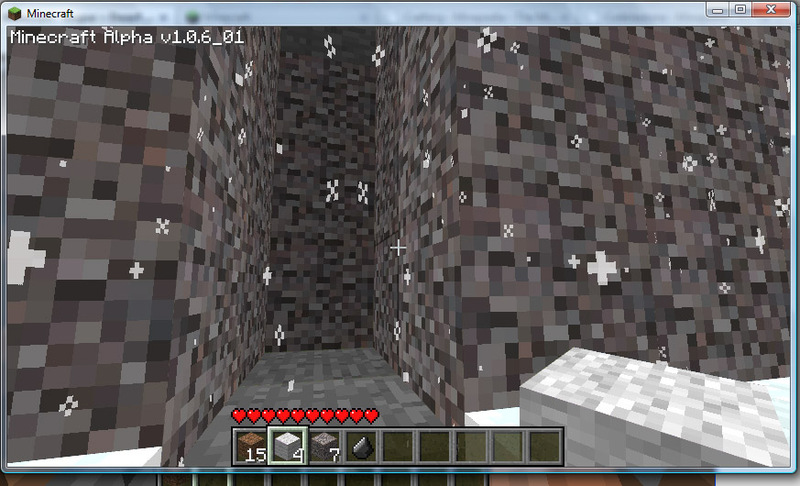 indev-20100129 29 January 2010 Found Notch's Tumblr First version with working crafting. The crafting menu itself using the B hotkey was added on the 28th but it did not function properly until this update. indev-20100130 30 January 2010 Found Notch's Tumblr No notes. indev-20100201-1 1 February 2010 Found Notch's Tumblr This version was actually compiled late at night on January 31st and the blog post is labelled as Sunday night, which was the 31st. However the post announcing the release was technically posted on February 1st so the version is being listed as this. indev-20100201-2 1 February 2010 Found Notch's Tumblr This version seems to correspond with the blog post as it was compiled at around the same time. indev-20100201-3 1 February 2010 Found No proof Seems to have been a silent update as there were no other version posts on the 1st February. indev-20100203 3 February 2010 Found Notch's Tumblr Many thought that Feb 2nd also existed but it seems that it didn't by looking at the tumblr pages from the time. indev-20100204-1 4 February 2010 Lost Notch's Tumblr No notes. indev-20100204-2 4 February 2010 Lost Notch's Tumblr No notes. indev-20100205 5 February 2010 Lost Notch's Tumblr Seems to be the last version labelled as 0.31 in the corner. indev-20100206 6 February 2010 Lost Notch's Tumblr First version with farming and seemingly the first version that's labelled as Minecraft Indev in the corner. indev-20100207-1 7 February 2010 Found Notch's Tumblr No notes. indev-20100207-2 7 February 2010 Found No proof Found but there isn't any proof on Notch's blog so was probably a silent (unannounced) update. indev-20100212-1 12 February 2010 Found Notch's Tumblr No notes. indev-20100212-2 12 February 2010 Found Notch's Tumblr No notes. indev-20100214-1 14 February 2010 Found Notch's Tumblr No notes. indev-20100214-2 14 February 2010 Found Notch's Tumblr No notes. indev-20100218 18 February 2010 Found Notch's Tumblr No notes. indev-20100219 19 February 2010 Found Notch's Tumblr No notes. indev-20100223 23 February 2010 Found Notch's Tumblr Last version of Indev. Infdev, which stands for Infinite Development, was the development cycle that immediately followed Indev. Sometimes stylised as /infdev/, it is named after the infinite worlds that it introduced, a now-famous feature of Minecraft. The first version of Infdev was released on February 27, 2010 and the last version was released on June 30, 2010. Infdev was Survival Mode throughout the whole development cycle. 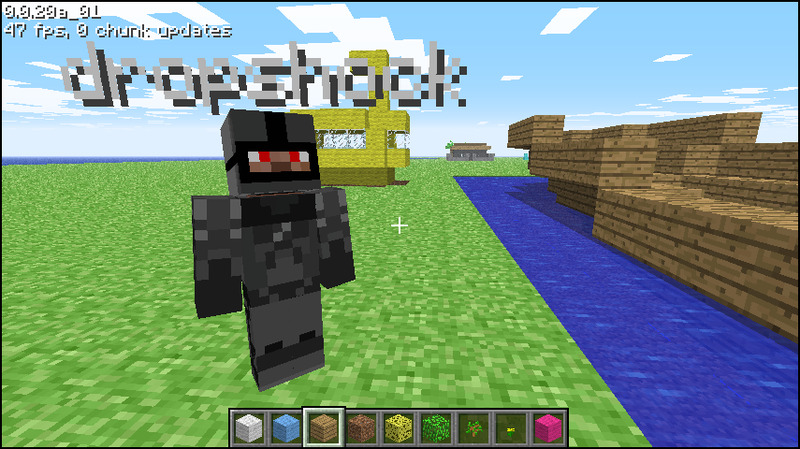 The same as Classic and Indev, it was played in the browser and the files were stored in the following folder: AppData/Local/Temp/www.minecraft.net/Minecraft_infdev . Infdev was the last development cycle to be played in the browser but thanks to the archival efforts of many old players, amazingly almost every single known released version of Infdev has been recovered, apart from a single version: infdev-20100616. Almost half of these versions were recovered from the archivist 2009-2010 player RidgeX. There is only one version of Infdev in the official launcher which is from June 18, 2010. Below is a table of Infdev versions, with notes for each version as well as download links for found versions. Proof of existence for all versions is included where possible, with an effort having been made to find proofs from 2010. Only a single proof of existence is included per version, but for most versions, many are available in the form of screenshots, videos and from Notch's Tumblr blog. If proof for a version is missing it is either due to the proof not existing or having been found, or it may be because the version was a silent update (unannounced by Notch) but is now found so we know of its existence. Because Infdev did not have a numbering scheme for the separate versions, the numbering scheme used is based on the release date of the version in the Year-Month-Day format. A -1, -2 etc. next to a version indicates there were multiple different versions of the same version released publically, or a version that was reuploaded, usually to attempt to fix a bug. infdev-20100227 27 Feb 2010 Found Notch's Tumblr First version of Infdev released. infdev-20100313 13 March 2010 Found Notch's Tumblr No notes. infdev-20100316 16 March 2010 Found Notch's Tumblr No notes. infdev-20100320 20 March 2010 Found Notch's Tumblr No notes. infdev-20100321 21 March 2010 Found  The existence of this version was only recently discovered when it was sent to an archival group by RidgeX. infdev-20100325 25 March 2010 Found Notch's Tumblr No notes. infdev-20100327 27 March 2010 Found Notch's Tumblr No notes. infdev-20100330 30 March 2010 Found Notch's Tumblr This version was found with an old texture pack meaning the texture files were modified. In the jar provided they have been replaced with the textures from 0327 which are the same as the original 0330 textures so it should not affect gameplay. infdev-20100413 13 April 2010 Found Notch's Tumblr No notes. infdev-20100414 14 April 2010 Found Notch's Tumblr No notes. infdev-20100415 15 April 2010 Found Notch's Tumblr No notes. infdev-20100420 20 April 2010 Found Notch's Tumblr No notes. infdev-20100608 June 8 2010 Found Notch's Tumblr No notes. infdev-20100611 June 11 2010 Found Notch's Tumblr No notes. infdev-20100615 June 15 2010 Found Notch's Tumblr No notes. infdev-20100616 June 17 2010 Lost Notch's Tumblr No notes. infdev-20100617-1 June 17 2010 Found No proof This version is not 20100616 as it is compiled after the tumblr blog for 20100616 was posted. infdev-20100617-2 June 17 2010 Found Notch's Tumblr No notes. infdev-20100618 June 18 2010 Found Notch's Tumblr First Seecret Friday Update. This version is in the launcher and it is identical to the original. infdev-20100624 June 24 2010 Found Notch's Tumblr Had a completely unique level save format that was added in this version and removed in the next. infdev-20100625-2 June 25 2010 Found Notch's Tumblr Second Seecret Friday Update. infdev-20100627 June 27 2010 Found Notch's Tumblr No notes. infdev-20100629 June 29 2010 Found Notch's Tumblr This version was known as the offline client tech test, and was released as a downloadable offline java executable the day before the first official launcher was released. infdev-20100630-1 June 30 2010 Found Notch's Tumblr Two versions were released on this day but one seems to have been a silent update. This version seems to have been the first version released in the first official launcher. infdev-20100630-2/Alpha v1.0.0 June 30 2010 Found No proof The last infdev version released. Once Alpha 1.0.1 was released this version was retroactively named Alpha 1.0.0 by Notch, but this is not evident in game where it is labelled Minecraft Infdev like the other Infdev versions. Alpha was the development cycle that immediately followed Infdev. Sometimes stylized as /game/, it is the first version to have an offline client/launcher. The first true version of Alpha was released on July 2, 2010 and the last version was released on December 3, 2010. Alpha was also Survival Mode throughout its entire development cycle. However, unlike previous development cycles that came before it, Alpha was stored in a different folder, thanks to the at the time new launcher. The files were stored in this folder: AppData/Roaming/.minecraft/bin. This folder is also used all the way up until Release 1.5.2, as after Release 1.5.2 a new launcher was made with which versions are now stored in the "versions" folder. Unfortunately, many versions of Alpha are lost, but not as many as previous versions before it, likely due to the versions being played with a launcher and the files being more known about and accessible, as well as due to the game's popularity increasing at the time of Alpha. There are 25 versions of Alpha in the launcher, however some of those are mislabelled, such as a1.2.0 actually being a1.2.0_02. Many have also been recovered from old players as with development cycles before, with only 11 alpha versions being missing if versions without proof are counted. Below is a table of Alpha versions, with notes for each version as well as download links for found versions. Proof of existence for all versions is included where possible, with an effort having been made to find proofs from 2010. Only a single proof of existence is included per version, but for most versions many are available in the form of screenshots, videos and from Notch's Tumblr blog. If proof for a version is missing it is either due to the proof not existing or having been found, or it may be because the version was a silent update (unannounced by Notch) but is now found so we know of its existence. A -1, -2 etc. next to a version indicates there were multiple different versions of the same version released publically, or a version that was reuploaded, usually to attempt to fix a bug. Alpha v1.0.1 July 3 2010 Lost Video Third Seecret Friday Update. Alpha v1.0.1_01 July 3 2010 Found Video No notes. Alpha v1.0.2 Unknown Lost Screenshot No notes. 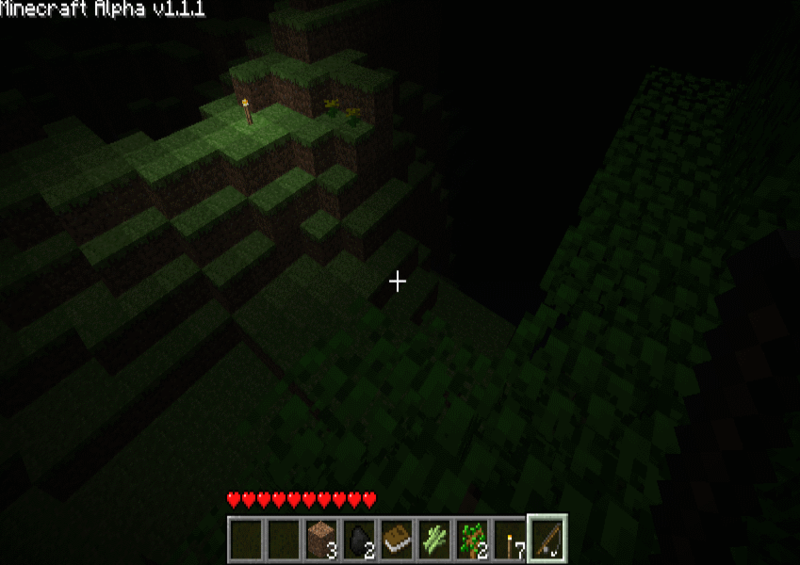 Alpha v1.0.2_01 July 6 2010 Found Notch's Tumblr No notes. Alpha v1.0.2_02 July 6 2010 Found Screenshot No notes. Alpha v1.0.3 July 7 2010 Found Video No notes. Alpha v1.0.4 July 9 2010 Found Video Two versions are archived, the original jar and the one found in the launcher which has the same files when extracted but different hashes meaning it has different compression. Fourth Seecret Friday Update. Alpha 1.0.5-1 July 13 2010 Lost No proof The timing of the blog post for this version being before the .jar currently found indicates that it may have been reuploaded. Alpha v1.0.5-2 July 13 2010 Found Video No notes. Alpha v1.0.5_01 July 14 2010 Found Video This version is in the launcher and the jar is identical to the original. Alpha v1.0.6 July 16 2010 Found Video Fifth Seecret Friday Update. Alpha v1.0.6_01 July 17 2010 Found Screenshot No notes. Alpha v1.0.6_02 July 17 2010 Lost Screenshot No notes. Alpha v1.0.6_03 July 17 2010 Found Video No notes. Alpha v1.0.7 July 19 2010 Found Video No notes. Alpha v1.0.8 July 20 2010 Lost Screenshot No notes. Alpha v1.0.8_01 July 20 2010 Found Video No notes. Alpha v1.0.9 July 21 2010 Found Video No notes. Alpha v1.0.10 July 22 2010 Found Video No notes. Alpha v1.0.11 July 23 2010 Found Video This version is in the launcher and the jar is identical to the original. Sixth Seecret Friday Update. Alpha v1.0.12 July 26 2010 Found Video No notes. Alpha v1.0.13 July 28 2010 Found Video No notes. 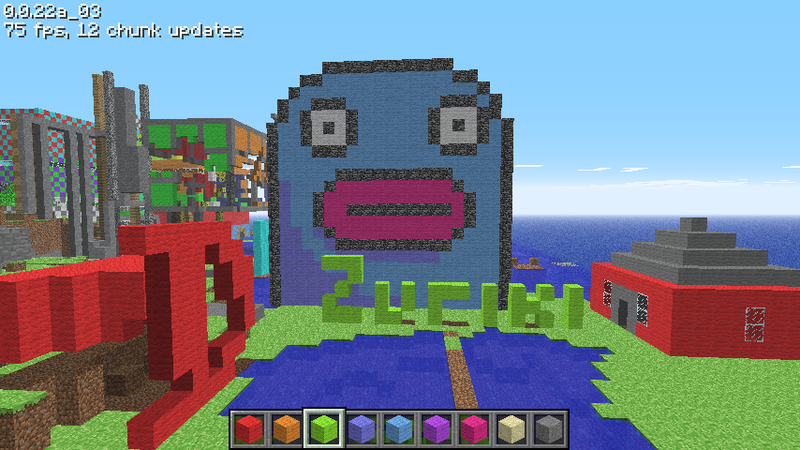 Alpha v1.0.13_01-1 July 29 2010 Found Notch's Tumblr No notes. Alpha v1.0.13_01-2 July 29 2010 Found Notch's Tumblr This reupload version has the 1k in 24h logo on the title screen to celebrate 1000 purchases in 24 hours. Alpha v1.0.14-1 July 30 2010 Found No proof Seventh Seecret Friday Update. Alpha v1.0.14-2 July 30 2010 Found Video Two versions of 1.0.14-2 are archived, the original jar and the one found in the launcher which has the same files when extracted but different hashes meaning it has different compression. Alpha v1.0.15 August 4 2010 Found Video This was the first Alpha version with public multiplayer software, it was misspelled on Notch's Tumblr as 1.0.14. Alpha v1.0.16 August 12 2010 Found Notch's Tumblr This version is in the launcher and the jar is identical to the original. Alpha v1.0.16_01 August 12 2010 Found Video No notes. Alpha v1.0.16_02 August 13 2010 Found Video No notes. Alpha v1.0.17 Unknown Lost Screenshot Eighth Seecret Friday Update. Alpha v1.0.17_01 Unknown Lost Screenshot No notes. Alpha v1.0.17_02 August 20 2010 Found Video This version is in the launcher and the jar is identical to the original. Alpha v1.0.17_03 August 23 2010 Found Video No notes. Alpha v1.0.17_04 August 23 2010 Found Video This version is in the launcher and the jar is identical to the original. Alpha v1.1.0-1 September 10 2010 Found Video Two versions are archived, the original jar and the one found in the launcher which has the same files when extracted but different hashes meaning it has different compression. Ninth Seecret Friday Update. Alpha v1.1.0-2 September 13 2010 Found Video No notes. Alpha v1.1.1 September 18 2010 Lost Screenshot Final Seecret Update and first and only Seecret Saturday Update. Alpha v1.1.2 September 18 2010 Found Video This version is in the launcher and the jar is identical to the original. Alpha v1.1.2_01 September 23 2010 Found Video This version is in the launcher and the jar is identical to the original. Alpha v1.2.0 October 30 2010 Found Notch's Tumblr The version labelled 1.2.0 in the launcher is in fact 1.2.0_02, as seen if the jar in the launcher is played. Alpha v1.2.0_01 October 31 2010 Found Video This version is in the launcher and the jar is identical to the original. Alpha v1.2.0_02 October 31 2010 Found Video This version is in the launcher and the jar is identical to the original. Alpha v1.2.1 November 5 2010 Lost Notch's Tumblr The version labelled 1.2.1 in the launcher is in fact 1.2.1_01, as seen if the jar in the launcher is played. Alpha v1.2.1_01 November 5 2010 Found Video This version is in the launcher and the jar is identical to the original. Alpha v1.2.2-1 November 10 2010 Found To be added This version is in the launcher, called 1.2.2a and the jar is identical to the original. Alpha v1.2.2-2 November 10 2010 Found To be added This version is in the launcher, called 1.2.2b and the jar is identical to the original. Alpha v1.2.3 November 24 2010 Found Notch's Tumblr This version is in the launcher and the jar is identical to the original. Alpha v1.2.3_01 November 24 2010 Found Video This version is in the launcher and the jar is identical to the original. Alpha v1.2.3_02 November 25 2010 Found Video This version is in the launcher and the jar is identical to the original. Alpha v1.2.3_03 Unknown Lost No proof Likely existed as version numbers weren't usually skipped. Alpha v1.2.3_04 November 26 2010 Found Video This version is in the launcher and the jar is identical to the original. Alpha v1.2.4 November 30 2010 Lost Notch's Tumblr No notes. Alpha v1.2.4_01 November 30 2010 Found Notch's Tumblr This version is in the launcher and the jar is identical to the original. Alpha v1.2.5 December 1 2010 Found Notch's Tumblr This version is in the launcher and the jar is identical to the original. Alpha v1.2.6 December 3 2010 Found Notch's Tumblr This version is in the launcher and the jar is identical to the original. After Alpha, the next development cycle was Beta, with the first version being released on December 20, 2010 and the last version being released on November 11, 2011. The popularity of Minecraft increased perhaps the most during this development cycle and the following Release cycle and due to this every full beta release has been archived. There are however some versions of Beta that are not in the launcher, and there are some pre-releases that were reuploaded to fix a bug, with one of these not having the pre-reupload version archived. Following Beta, Minecraft entered its final Release development cycle with Version 1.0.0 released on November 18, 2010, although Release Candidates for this version were released on November 13. Notably, Release 1.0.0 was the last version that the original creator, Notch, worked on before leaving Mojang. Unlike Beta, every full Release of Minecraft is in the official launcher or on Mojang's servers that host versions. Despite this, some pre-releases are missing and also some Snapshot versions were reuploaded and the pre-reupload versions are missing from the launcher and for some versions completely missing. Below is a table of all Beta and Release versions, pre-releases and snapshots not featured in the official launcher or on Mojang's download servers, with notes for each version as well as download links for found versions. Proof of existence for all versions is included where possible, with an effort having been made to find proofs from the release time of the specific version. Only one form of proof is included but in some cases more may be available in the form of screenshots, videos and official announcements on social media or minecraft.net. A -1, -2 etc. next to a version indicates there were multiple different versions of the same version released publically, or a version that was reuploaded, usually to attempt to fix a bug. Beta 1.1-1 December 22 2010 Found Notch's Tumblr This version had no working text due to the font.txt being missing from the jar file. Beta 1.1-2 December 22 2010 Found Notch's Tumblr This version was a reupload of the previous one that aimed to fix the no text bug but also had no working text due to the missing font.txt. Beta 1.3-1 February 22 2011 Found mc-dev Bukkit Repository This is a debug version that will give the player 64 torches, 64 beds, a diamond pickaxe, a diamond shovel and a diamond axe when a world is created. The version in the launcher is labelled b1.3b further indicating that a b1.3a or b1.3-1 using this naming scheme existed. Beta 1.3-demo April 19 2011 Found PC Gamer Site This version was a demo released officially by PC Gamer that is based upon Beta 1.3 and features an exclusive cow texture. Beta 1.6 Test Build 3 May 25 2011 Found No official release This version was a test build that was placed on Mojang's public download servers, presumably accidentally. 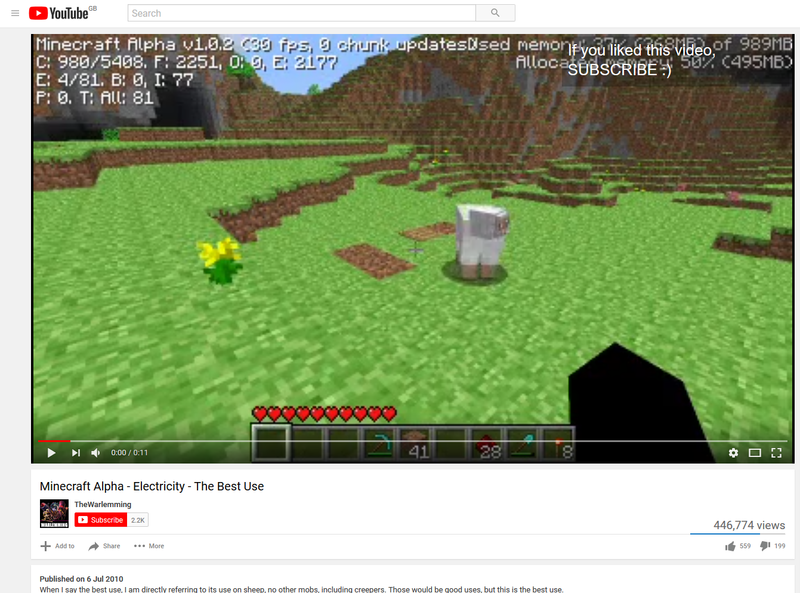 Beta 1.7_01 June 30 2011 Found Video Breaks the naming convention. 1.7.1 doesn't exist. Beta 1.8 Pre-release-1 September 8 2011 Found Forum Post This version was originally publically leaked by the users it was privately distributed to. The reupload of this version released a day later is available on Mojang's download servers. Beta 1.9 Prerelease 3-1 October 6 2011 Found Twitter Post This version was reuploaded to remove some ender dragon related code. The reupload is available on Mojang's download servers. Beta 1.9 Prerelease 4-1 October 13 2011 Lost Twitter Post This version was reuploaded to fix the version number still being Prerelease 3. The reupload is available on Mojang's download servers. 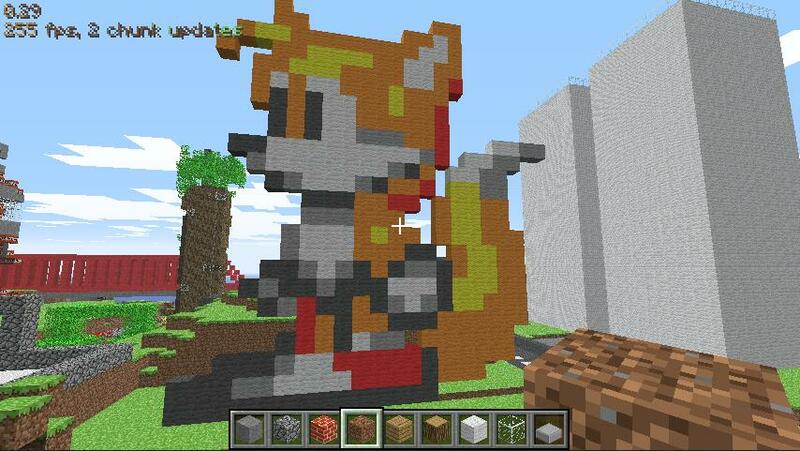 Minecraft RC1 November 13 2011 Found Twitter Post This was the first release candidate for version 1.0.0. Minecraft RC2-1 November 13 2011 Lost Twitter Post This was the second release candidate for version 1.0.0 and it was reuploaded to fix the version number still being RC1. The reupload is available on Mojang's download servers. 12w05a-1 February 2 2012 Lost Mojang Site This version was reuploaded to fix a crash bug and some griefed translations. The reupload is available on Mojang's download servers. 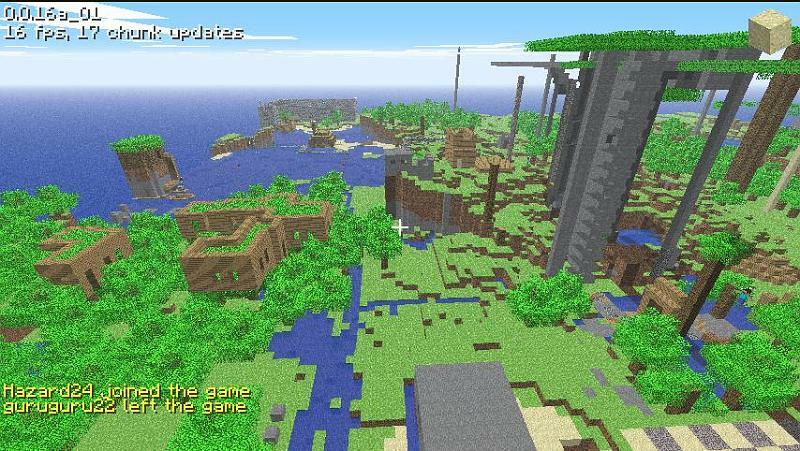 1.2-pre February 29 2012 Found Mojang Site This version was labelled as a prerelease on the site but as 1.2 ingame. 1.2 therefore never had a full release. 12w21b-1 May 25 2012 Lost Mojang Site This version contained griefed translations and was reuploaded to fix these. The reupload is available on Mojang's download servers. 1.4.5-pre November 16 2012 Found Mojang Site This version was a prerelease for 1.4.5 but unlike many prereleases around this time, there was an actual separate release of 1.4.5 that came after which fixed a bug, meaning this version is distinctive. The actual 1.4.5 is available in the launcher. 13w03a-1 January 17 2013 Lost Twitter Post This version featured a inventory corruption issue so it was reuploaded to fix this. The reupload is available on Mojang's download servers. 13w06a-1 February 7 2013 Found Mojang Site Contains a crash bug that is fixed in the reupload version. The reupload is available on Mojang's download servers. 13w12~-1 March 19 2013 Lost Mojang Site This was a silent public release on the Mojang bug tracking site released to try to fix a bug but the attempt did not work. It was reuploaded and the bug was fixed the second time around. The reupload is still available on Mojang's download servers. 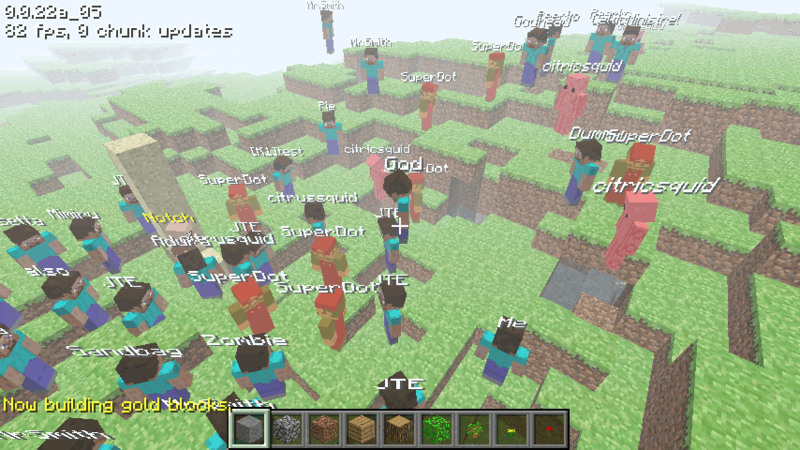 Minecraft 2.0 (April Fools) April 1 2013 Found Mojang Site This was the first April Fools version released. Originally only given to select YouTubers and other users, the download links to 3 separate versions, blue, red and purple were leaked. The red and blue versions contain separate features and the purple version contains all of the features from the other two. All 3 versions are archived. 1.6.2-pre July 5 2013 Lost Mojang Site This version, similar to 1.4.5, was a prerelease for 1.6.2 but the actual release of 1.6.2 featured a bug fix meaning this was a distinctive version. The actual 1.6.2 is available in the launcher. 13w36a-1 September 5 2013 Lost Twitter Post This version was reuploaded to fix some bugs involving language selection and mesa biomes and the reupload version is available in the launcher. 13w36b-1 September 6 2013 Lost Twitter Post This version contains issues with inventory keys and as such it was reuploaded to fix these issues. The reupload, however is not available in the launcher as this version was once again reuploaded after this. 13w36b-2 September 6 2013 Lost Twitter Post This version was once again reuploaded, this time control changes were rolled back to their previous state. Said reupload (13w36b-3) is available in the launcher. 1.6.3-pre-1 September 12 2013 Lost Twitter Post This was a prerelease for 1.6.3 that was reuploaded and this reupload is available in the launcher, listed as 1.6.3 although technically the version was never fully released and was prerelease only. 13w41b-1 October 11 2013 Lost Twitter Post This version featured a crash bug and was reuploaded to fix this. The reupload is available in the launcher. 16w50a-1 December 15 2016 Found No proof This version was accidentally released being labelled 1.11.1 and was reuploaded to fix the label in game. The reupload is available in the launcher. Sadly, as with a lot of popular game series, Minecraft also suffers from a large amount of fake versions, particularly of older versions of the game. Even more, unfortunately, many of these are distributed around online and believed to be real by most and are in most cases easier to find than the real versions. It is therefore important that these versions can be recognised and identified as fake so that they are not labelled as being legitimate and luckily there are a few ways to identify fake versions. It is also important to note that the internet has been scoured almost entirely for versions, which means that it is highly likely that if a "missing" version is found online that it is fake, particularly if it was found with ease or uploaded fairly recently. There are some websites that are known for distributing fakes, the most well known of these is Luigi2600's site which can be found here. Most of the versions found on this site are fake, often modified versions of versions that are actually found, in many cases just the version number has been edited. Any that are legitimate are available in Omniarchive and other trusted places, so there is no need to download any versions from this site. Due to most believing these versions to be real they are often distributed on sites such as YouTube and in various Minecraft communities. Additionally, if a link is found to any zip known as the "Hidden Versions" it is likely from Luigi2600's site. But how can you tell that these versions are fake? Despite the worrying amount of fakes, it is actually very easy to distuingish a fake from a real version. To do this, you must have a program that is able to open .zip (and by extension .jar) files such as 7zip or WinRAR. Upon opening a minecraft.jar with one of these programs, you should be able to see a folder that reads 'META-INF'. For example here is an image of in-20091223-2 opened in WinRAR with it's META-INF folder circled. If the .jar features no folder labelled 'META-INF' then it is almost certainly fake. Next, you should open the META-INF folder and check the date of the files inside. They should all feature the same date and time and if this is not the case then the .jar has definitely been modified. Also, the date of the files should correspond (although under certain circumstances it may be a small amount of time before) with the release date of the version in question, which can be found on the tables above. This is because the date and time listed on these files is the exact time that the .jar was compiled and the certificate was issued. An exception to this is the rd- versions featured in the official launcher which feature dates from 2013. This is because they were compiled in 2013 and added to the launcher, likely from very old source code that was recovered from before Minecraft was even public, it's also possible that they are recreations. For example here is an image of the META-INF folder from in-20091223-2 showing the date of the files which corresponds to the release date on December 23, 2009. In addition below is a screenshot showing the dates from the META-INF folder of the supposed 0.24, a version that was never actually released, on Luigi2600's site. Note that the dates differ from each other and that they are not in 2009 as should be expected from a Survival Test version. Many of the versions listed above were found/contributed by members of the Omniarchive community. The community's spreadsheet where some of the version proofs above were taken from, with permission from the owner, can be found here. Within the spreadsheet is a credit list of version contributors and researchers etc.